But on Sunday, the NRA drew a line on an outright ban. Chris Cox, the NRA's chief lobbyist, said too much public focus was being placed on limiting the devices rather than preventing bad human behavior. 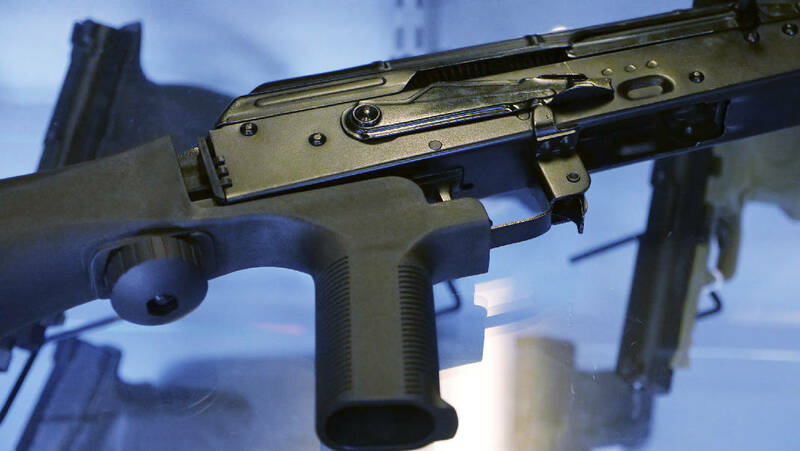 He said it was the responsibility of the U.S. Bureau of Alcohol, Tobacco, Firearms and Explosives - not Congress - to regulate the sale of bump stocks. "We don't believe that bans have ever worked on anything. What we have said has been very clear - that if something transfers a semiautomatic to function like a fully automatic, then it ought to be regulated differently," Cox said. Seeking broader consensus, Sen. Chris Murphy, D-Conn., said that if Republicans were willing to pass a bill banning bump stock devices - like those used by the Las Vegas hotel sniper - he would support the legislation, even if it was not accompanied by any other restrictions of weapons purchases. Murphy, an ardent supporter of gun control after the 2012 mass shooting at an elementary school in Newtown, Connecticut, said he would be willing to hold off for his broader goal, the institution of background checks for weapons buyers, if the Senate agrees on a narrower bump stock ban.